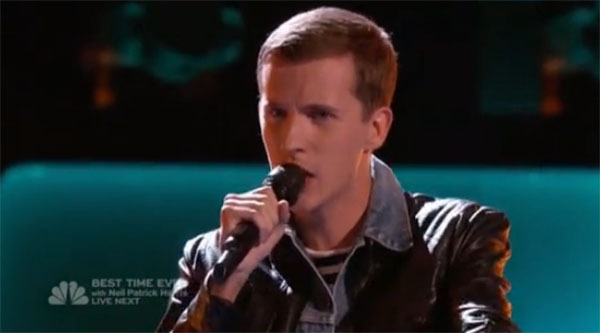 Evan McKeel sings ‘Typical’ on The Voice Season 9 Blind Auditions Premiere Episode on Tuesday, September 22, 2015. He also sang Overjoyed by Stevie Wonder. “You got better as the performance went on and that is gold for us,” said Adam Levine. “Your stage presence were amazing. You brought me, it would be a lot of fun working with you,” said Blake Shelton. “It sounded like kinda pop-rock-alternative, I love that collision,” said Gwen Stefani. “You definitely have a position on this show,” said Pharrell Williams. Evan McKeel pick team Pharrell. Watch his performance on the video below.